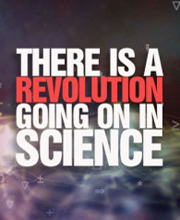 Quantum Activism is the idea of changing ourselves and our societies in accordance with the principles of quantum physics. 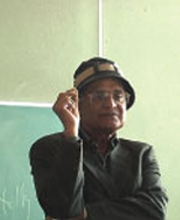 Quantum Activism Vishwalayam is envisaged to be a model space for experiential learning and living, founded upon the principles and framework of quantum activism propounded by theoretical physicist Amit Goswami, PhD. The courses and pedagogy are based upon the solid foundations of science and the essence of the ancient traditions of learning in an ashram while residing with one’s teachers and co-participants. The decade old quantum activism movement, initiated in the U.S. by Dr. Amit Goswami, has now found its permanent home in Jaipur, India, where a very ambitious plan to establish a global education center, Quantum Activism Vishwalayam (home of the world in Sanskrit), has been launched. Materialist Science Isn’t The Whole Picture! 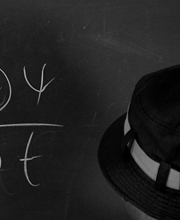 What do we mean by materialist science? Materialist science takes it as its basic axiom that everything is matter. We have literally managed to train a whole generation of students on the idea that everything is material, but this Newtonian world view that has shaped our understanding for centuries is now giving way to the revelations of quantum physics which goes beyond materialism; to show that consciousness, not matter, is the ground of all being. You can call it God if you want, but you don’t have to. Quantum consciousness will do. Nonlocality, tangled hierarchy, and discontinuity: these signatures of quantum consciousness have been independently verified by leading researchers worldwide. This experimental data and its conclusions inform us that it is the mistaken materialist view that is at the center of most of our world’s problems today. 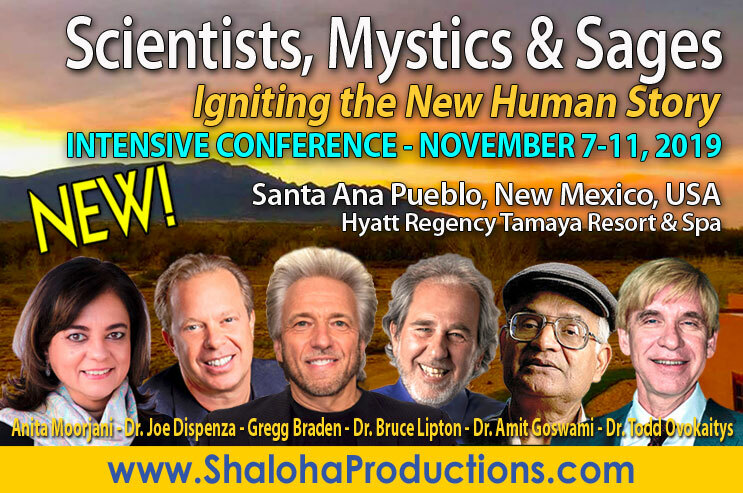 To address these problems, we now have a science of spirituality that is fully verifiable and objective. 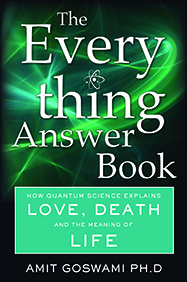 Take a listen as Dr. Amit Goswami returns to The Zone Show to discuss his latest work, The Everything Answer Book: How Quantum Science Explains Love, Death and the Meaning of Life with host Tom Evans (August 4, 2017). More than just theory, quantum activism is the moral compass of quantum physics that helps us to actually transform our lives and society. 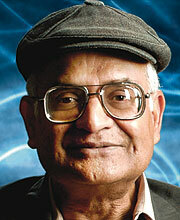 Since the meltdown of the economy, Amit Goswami, PhD, physicist and author, has been focusing on important issues for a New paradigm for economics and business for the twenty-first century, touching upon the important issues of stability and sustainability of the economy and leadership, creativity and ethics in business, and finally offering a way to achieve a revitalized business arena, an economy of sustainability, prevention of economic meltdowns, and, once and for all, eliminating poverty and hunger. A must-read for the businessperson and the consumer! PURCHASE YOUR COPY TODAY! 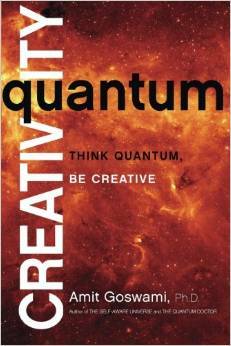 In Quantum Creativity, Amit Goswami, Ph.D., physicist and author of The Self-Aware Universe, explores human creativity through the unique lens of quantum physics, offering readers a new way to nurture and enhance their own creativity—the ultimate source of joy and fulfillment. Click here to order today. 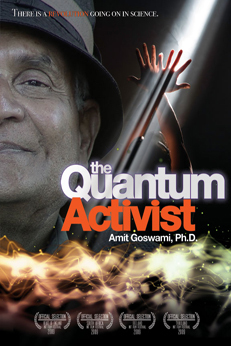 With a poignant relevance to the problems of our day, this documentary follows Dr. Amit Goswami as he demonstrates how our mistaken views of reality have led to our current environmental, social, economic and spiritual crises as well as the means of correcting these errors via quantum activism. At stake is nothing less than our survival upon the planet. The Quantum Activist is a film for our time. It is a film whose very subject transcends time. 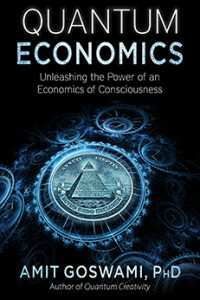 Purchase your copy for $12.99 (plus shipping and handling) by writing to info@amitgoswami.org today! Quantum Physicist Amit Goswami has co-founded Quantum Economics Business Coaching™ in collaboration with Dr. Jim Alvino — international speaker, trainer, author and business coach. Quantum Economics Business Coaching (QEBC) intends to engage entrepreneurs, business owners, corporations and organizations across all industries and markets to help them implement the principles of Quantum Economics in the workplace. To learn how you can become involved with QEBC, or to schedule a lecture or workshop, write to Dr. Jim Alvino at: jim@QEBusinessCoaching.com, or call: 714-717-9301 or 855-626-4562.